brewed in its own reflection. From which pot should you drink? 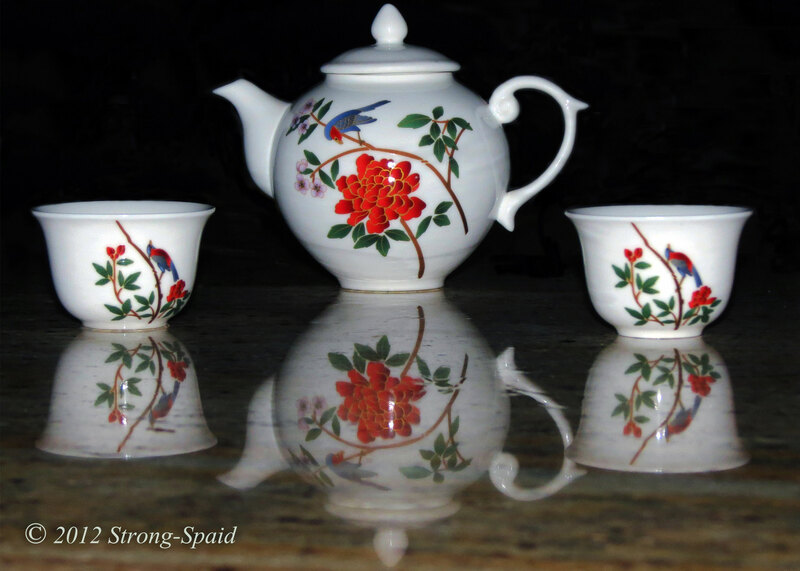 **This beautifully decorated tea set was given to me by sushi chef and good friend, Jasper Lin. Originally from China, Jasper loves a good cup of tea as much as I do! This entry was posted in Imagination, Philosophy, photography, Poetry, Writing. Bookmark the permalink. By the way, I just looked at all the new photos that you posted. New Zealand is so beautiful. I guess that is why so many great movies are filmed there. My favorite is (and will always be) the Whale Rider! I guess you always take your own place for granted. Dina, Happy Holidays to you and yours also! 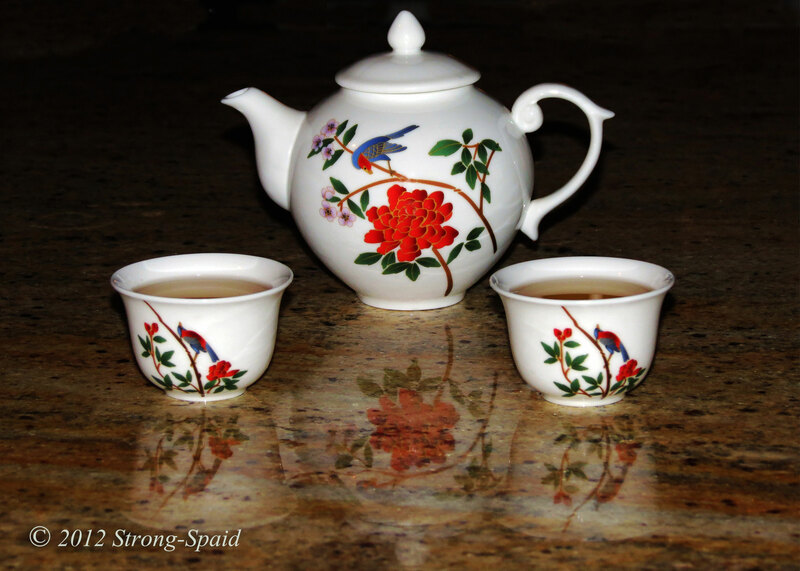 I had a small china tea set (little teapot with 4 cups) when I was about 6 years old. Used only water though, no tea. Now I have the tea and a bigger teapot. Perfect. You’ve hit my soft-spot here. One day I might publish my story about tea! I love this. Thanks.